I've had this book since I was 9 or 10 and I've probably read it 5 or 6 times. This is probably one of the BEST books I've read as a kid. It's about Kiko and Amy who rescue a mare and her foal from being shot. They hide her in a canyon for a long time... It is an awesome book, probably for 12 and under. This sounds like a great book, though it doesn't appear to be in print anymore. On Amazon it says it was first published in 1966! But the good news is there are some used copies available at a really low price. 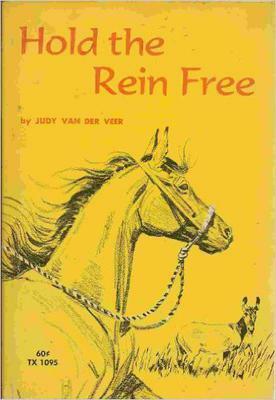 I see the author wrote some other books, including another about horses, and the reviews are very positive. I will definitely have to check this one out!